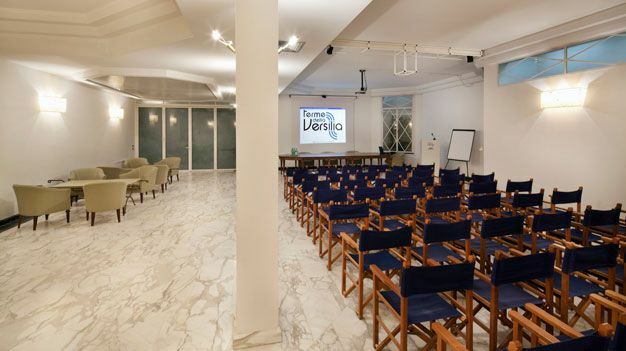 Organizing and planning a meeting, a training course, a conference or an incentive event is made easier here at Hotel Villa Undulna with facilities that ensure a successesful endeavor. Your event is given privacy, a relaxed atmosphere, and a quiet area to conduct it in. The business area offers event organizers a wide range of options; from the large elegant D'Annunzio Room to smaller meeting suites. Our versatile and flexible meeting rooms can cater for events with up to 100 delegates.